Clark, who scored a 30 on his ACT, was one of more than 300 students recognized for STAR Honors across the state. The Mississippi Economic Council and its M.B. 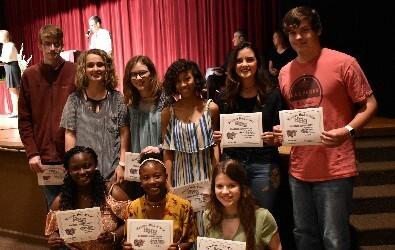 Swayze Foundation sponsors the Student-Teacher Achievement Recognition (STAR) Program in an effort to encourage scholastic achievement among high school students and to recognize the teaching profession. The STAR Student selects the STAR teacher. Clark chose Malone, Director of Bands at Houston School District, who is in his third year of teaching. This is Malone’s first year to be chosen as STAR Teacher. Malone led the Topper Pride Band to receive all superior ratings at competition earlier this year, which has not been done at Houston since 2008. “Mr. Malone has helped me achieve my goals countless times. 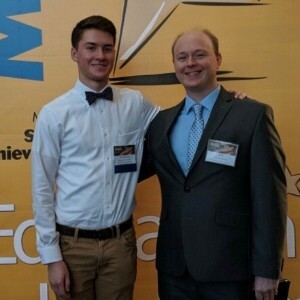 He is an awesome teacher, and I'm sad I can't take him with me to college band,” Clark said. 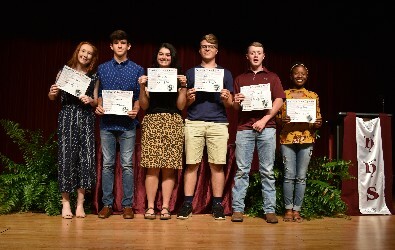 Clark, who is the son of Palina Lancaster and Billy Clark, is a member of the Topper Pride Band, Anchor Club and Student Council. 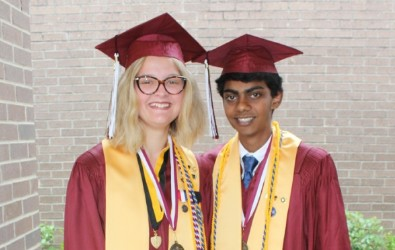 He plans to attend Mississippi State University upon graduation and major in computer science and physics. Malone also noted that Clark is a quick learner and logical, applying what he has learned before to new situations. 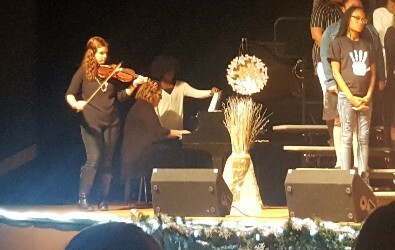 Malone, who first earned an Associate’s Degree at Itawamba Community College, has both a Bachelor’s Degree in Music Education and Math as well as a Master’s Degree in Music from the University of Mississippi. Complete eligibility guidelines for STAR Student can be found on the MEC website. Requirements include an overall ACT composite score of at least 25 and an overall average of 93 or above in selected subjects in the ninth, tenth, eleventh, and first-semester twelfth grades. 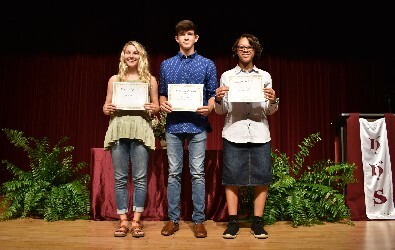 Citizenship Award: Freshmen - Emma Garner and Jaden Johns; Juniors - Katelyn Flake and Kyler Spencer; Sophomores J.D. Hallmark and Jasmine Rogersthe printing and typesetting industry. High school students with all A's for the year enjoyed lunch with Tony Cook, HSD Superintendent, and PTO President, Jeff Flatt. The meal was provided by Parkway Baptist Church's Brotherhood. "Ajay is one of the hardest working students I have ever had the pleasure of teaching. He is extremely intelligent, responsible and dependable. I can always count on him to have his assignments completed by the due dates. He is a very kind, friendly and respectful young man who is well-liked by his peers and teachers. He has always been willing to help with any task asked of him and always with a cheerful attitude. He is not only the epitome of a student, but also of a genuine young man who is a great asset to our school and community. I am deeply honored to have been chosen as STAR teacher by Ajay. 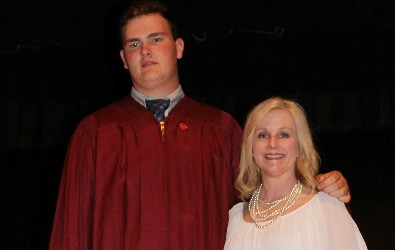 My life has definitely been enriched by having such an outstanding young man in my classroom," Spencer said. "I chose Mrs. Spencer as Star Teacher for several reasons. 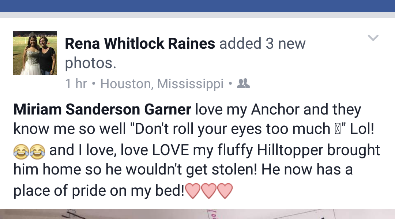 Of all the staff at Houston High School, she has had the most influence on my life. I had four courses from her in the past two years, including her personal leadership course, which has prepared me emotionally for college. She also directed the senior play and encouraged me to try out for a part. I am very shy, but due to her encouragement, I stepped out of my comfort zone. 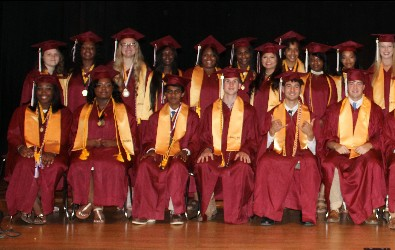 I had one of the lead roles, and had I not participated, I would have missed out on an experience I will never forget. Not to mention, I became a role model to the elementary students who watched our play," Patel said. 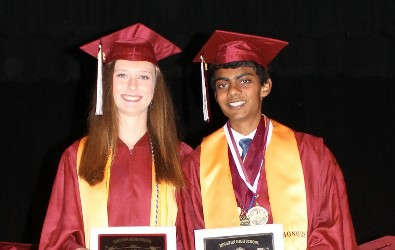 Patel is a member of the Cross Country Team, Student Council, Anchor Club, Beta Club and the Solar Car Team. 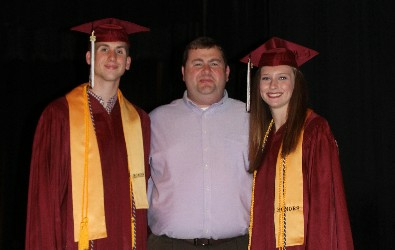 He plans to attend Mississippi State University upon graduation. Patel is the son of Kunthavai and Shailesh Patel. Spencer has 25.5 years of teaching experience. She currently teaches U.S. Government, Accelerated Government, Economics, Advanced Geography, Personal Leadership, Dual History I and Dual History II. She was also named Star Teacher in 2000, 2003 and 2004. 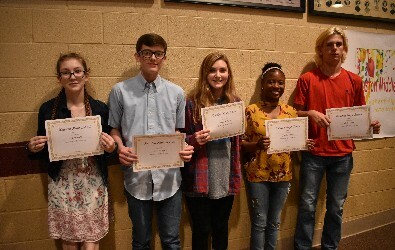 (From L-R) Maddyson Fant (3rd Place-$25 Wal-Mart gift card donated by Wal-Mart); Damien Townsend (1st Place-$100 cash from Chickasaw Heritage Museum); and Allie Grace Dobbs (2nd Place-$50 Wal-Mart gift card donated by Wal-Mart) won prizes for their writing in Ms. Alisha Spencer's Creative Writing class at Houston High School. The class partnered with the Chickasaw Heritage Museum to incorporate different items found throughout the museum in their writing. Their writing was judged by local authors: Audrey Virges, Lori Harrington and Jan Dyson. 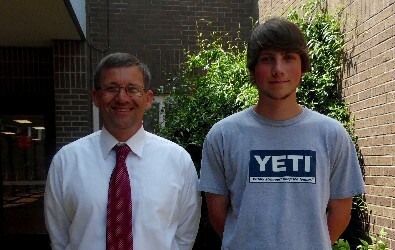 Ben Clark, a junior at Houston High School, recently scored 30 on the ACT. 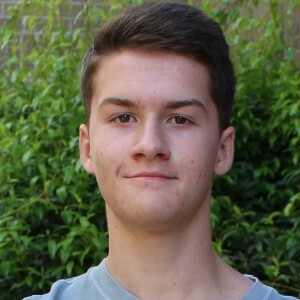 Ben is a member of the Topper Pride Band, Solar Car team, Engineering and Robotics Team and Anchor Club. He hopes to attend Rensselaer Polytechnic Institute in New York to study physics and computer science. He is the son of Billy Clark and Palina Lancaster. HHS Anchor Club participates in "pick Me Ups"
PMU is a way for Pilots and Anchors to serve those in their communities who are caregivers. 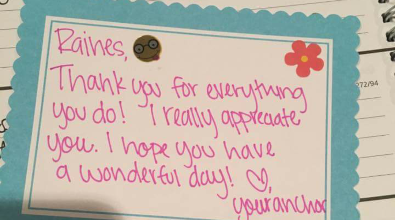 PMUs at HHS started as a week of pampering the employees with encouraging notes and little happies, such as a candy bar and a drink. 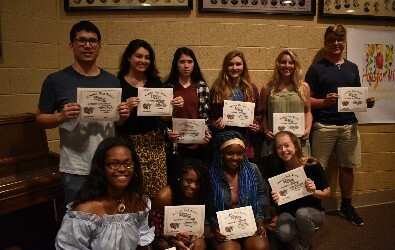 At the end of the week, the HHS Anchor Club sponsored a breakfast for their teachers to reveal who their “Secret Anchor” was. The response was so wonderful the Anchors wanted to continue “Secret Anchor,” so when the year began the Anchors chose names and started leaving weekly messages. 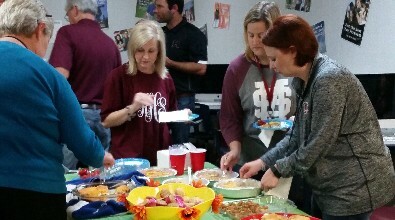 At Christmas they sponsored a breakfast for the faculty and staff and revealed their “secret.” At the beginning of the spring semester, Anchors chose new teachers and/or staff to deliver “Pick Me Ups” to, and so “Secret Anchor” started again. “Doing Secret Anchor not only makes the caregivers smile and know someone really does care about their work, but it also makes the Anchors feel good and hopefully understand how important encouragement really is,” said Anchor Club President Mackenzie Huffman. Anchor Club President Elect Micah Simmons stated that she fully intends to keep this project going and even try to make it bigger and better next year. 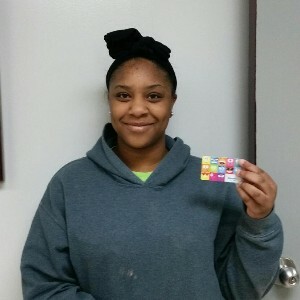 Congratulations to Jamia McCoy, winner of the National School Breakfast Week $24 Wal-Mart gift card. Jamia was eligible for the drawing, because she ate breakfast every day this week in the cafeteria at HHS! Local authors, Audrey Virges, Lori Harrington and Jan Dyson, visited Houston High School’s creative writing classes, taught by English teacher, Alisha Spencer. Their purpose was to provide an introduction to the next unit on writing a narrative piece. The authors suggested that students dig deep, use their imagination and be creative for the upcoming project. Ms. Spencer’s class will be working in collaboration with the Chickasaw Heritage Museum, which they visited recently. The students were on the lookout for 12 items from the museum, which they will then research and incorporate into their writing pieces. The aforementioned authors will then judge these stories, and the top three stories will receive prizes. Audrey Virges: Author of: "Living Reality: A Book of Inspirational Poems"; Author and illustrator of "A Day in Kindergarten"
Lori Harrington: Author of the novel, "The Point"; Her second novel, "Michael's Heart", will be published soon. Jan Dyson: Author of "Turning Clay into History: The Story of W.D. Suggs Pottery," an informational book about her grandfather's pottery. 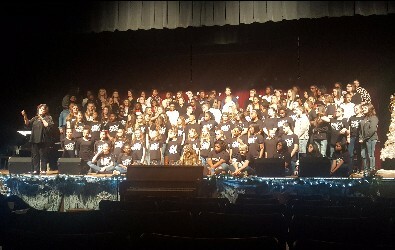 The HHS Choir, HHS Sextet, and Houston Community Choir performs "One Voice" for the public Thursday, March 1, 2018. Songs included: "Silent Night, Holy Night" by HHS Girls' Sextet, "Santa, Bring My Baby Back to Me" by 7th period class, "Jesus, Oh, What a Wonderful Child" featuring soloists LaShadrach Patrick and T'Kecia Beaty, "The Christmas Song," and "Mary, Did You Know" featuring violinist Laura Claire Moore. 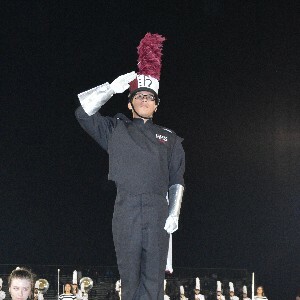 Anthony Gonzalez, Topper Pride drum major, auditioned and made the Mississippi Lions All-State Band. 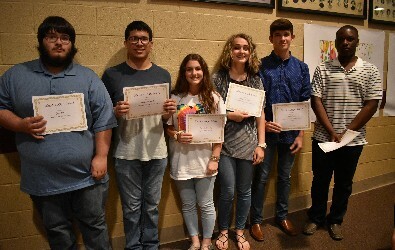 He is one of only 128 high school musicians for the entire state of Mississippi to make this prestigious group and also one of only eight musicians in this group that play his instrument, the tuba, in the entire state. 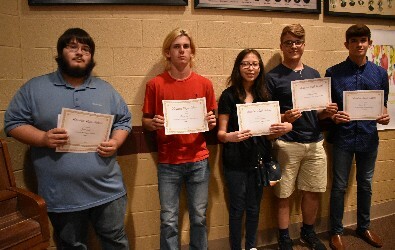 This group is not only recognized, but also get together and perform for a national contest against the other states during the summer. Not only that, but Mississippi has won 13 of the last 15 years. The contest will be held in Las Vegas. 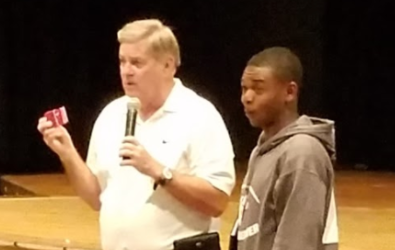 Mr. Eric Malone, band director, said, "I can speak personally on the HUNDREDS of hours he has spent practicing and preparing for this great honor. His dedication and self-discipline deserve to be recognized." 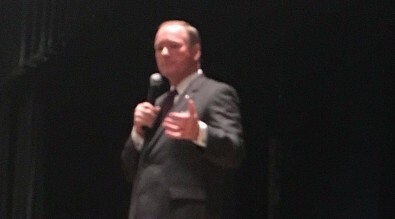 stopped by Houston High School to speak to students about the changing times due to the advancement of technology, how these changes will affect the future and how MSU is preparing students for the changing workforce. 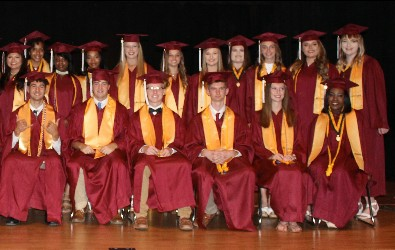 Top: Dr. Keenum, surrounded by HHS juniors/seniors, poses with HHS Principal Jason Cook after speaking. 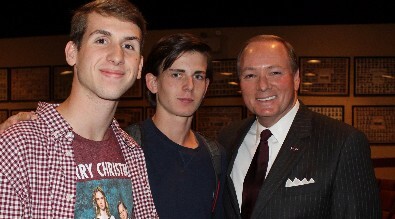 Left: Dr. Keenum, with senior Peyton Brassfield and junior Blaize Gann, visited with students afterwards, inquiring about their future educational plans. 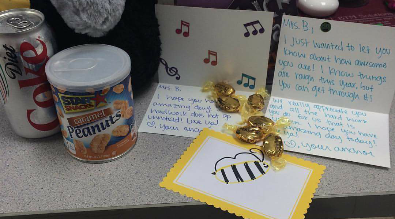 Students earn incentives for high and improved state test scores in Algebra 1, Biology 1, English 2 and U.S. History. Incentives were funded by PACE (Partners in Achieving Community Excellence). 1) Students who showed growth and/or passed the state test earned a movie. 2 Students who scored proficient or advanced earned a movie and pizza in the park. 3) Students earned $50 for each test with an advanced level score. 4) Students earned $100 for each test with a high advanced level score. 5) Students earned $200 for each test with a perfect scale score. Friday, November 17, 2017, HHS will host Yazoo County in the 3rd round of high school football playoffs. This is the Hilltoppers 3rd time to make to the 3rd round, but our 1st time to have the opportunity to host the game. Join us Friday night...admission is $8 and only State passes are accepted. Each year the Anchor Club and Student Council host the Veteran's Day program which includes a reception hosted by the Pilot Club of Houston prior to the program. 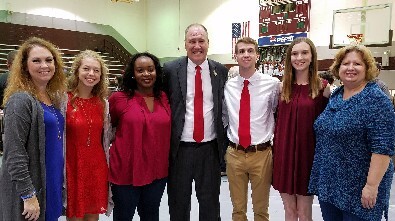 This year's speaker was US Congressman Trent Kelly. He is a Veteran of Dessert Storm and Iraq. He spoke of the Greatest Generation, WWII Veterans, and how we need to be more like them and never forget their sacrifice and service! Afterwards he spent time talking with students and veteran guests. 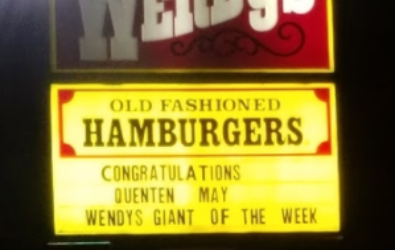 Houston Hilltopper, Quenton May was named "Giant of the Week" for his outstanding performance on the field during the Houston vs Nettleton game! 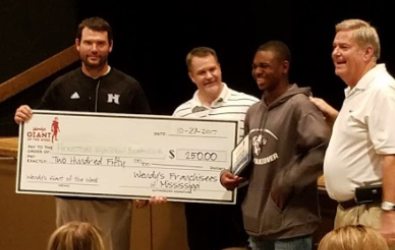 Quenton received $300 in Wendy's gift cards, and the Houston Touchdown club received a check for $250! Quenton's name is on the marquee in Pontotoc! Quenton receiving Wendy's gift cards...he just made some new friends! 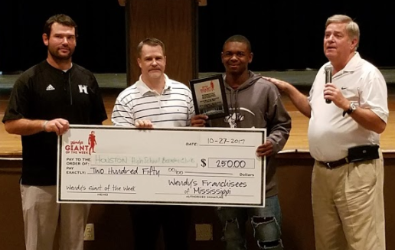 Wendy's presents Houston Touchdown Club with a check for $250 in honor of Quenton May being the "Wendy's Giant of the Week"
We are all excited for Quenton, for the Houston Hilltoppers, and for the Touchdown Club! Thanks Wendy's! 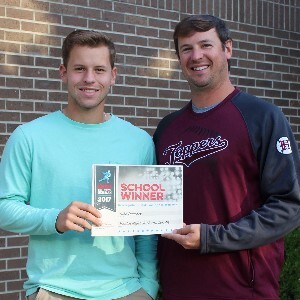 Congratulations to Luke Hancock, HHS senior, as a Wendy’s High School Heisman winner. Luke is the catcher for the Houston High School baseball team, where he was All-State in 10th and 11th grades, All-Division in 8th – 11th grades, 1st Team All-State 10th grade, and 4A All-State 1st Team in 10th and 11th grades. He has a 3.5 GPA. 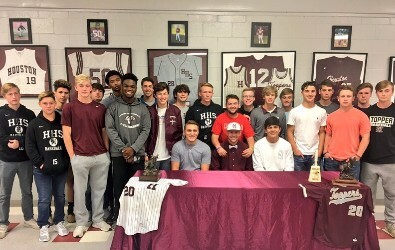 Luke plans to attend Mississippi State University and play baseball for the MSU Bulldogs. Luke is the son of Mark Hancock and Nikki Hall. 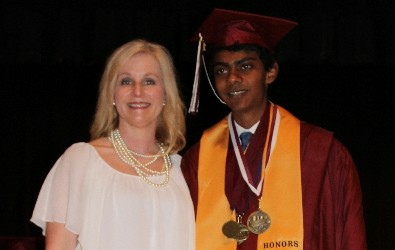 Congratulations to Ajay Patel, a senior at Houston High School, who recently scored a 31 on his ACT. 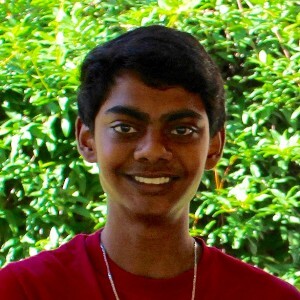 Ajay is a member of the Cross Country Team, Student Council, Anchor Club, Beta Club and the Solar Car Team. 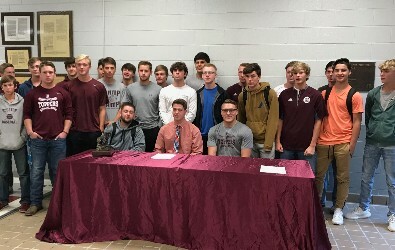 He plans to attend either The University of Mississippi or Mississippi State University upon graduation. Ajay is the son of Kunthavai and Shailesh Patel. 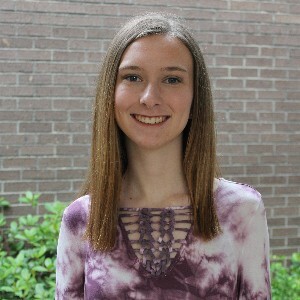 Congratulations to Houston High School Junior Mackenzie Huffman, who scored 30 on her recent ACT test. 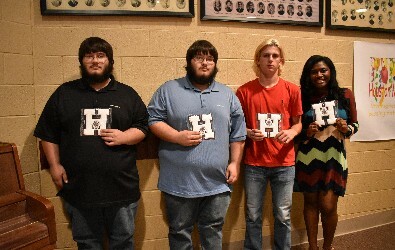 Huffman is a member of the Topper Pride Band, Anchor Club, and FFA Chapter. 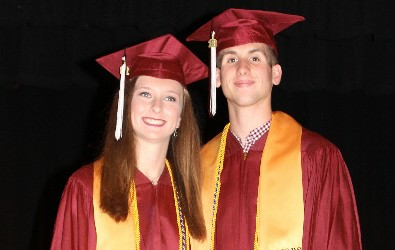 Huffman plans to attend Mississippi State University and major in accounting or criminology. She is the daughter of Brand and Amanda Huffman.